We saw the trailer for a film a while back called A Monster Calls, and we were intrigued as like all good trailers, it didn’t give much away. Looking into it further, we found it was based on a book so we immediately got a copy. 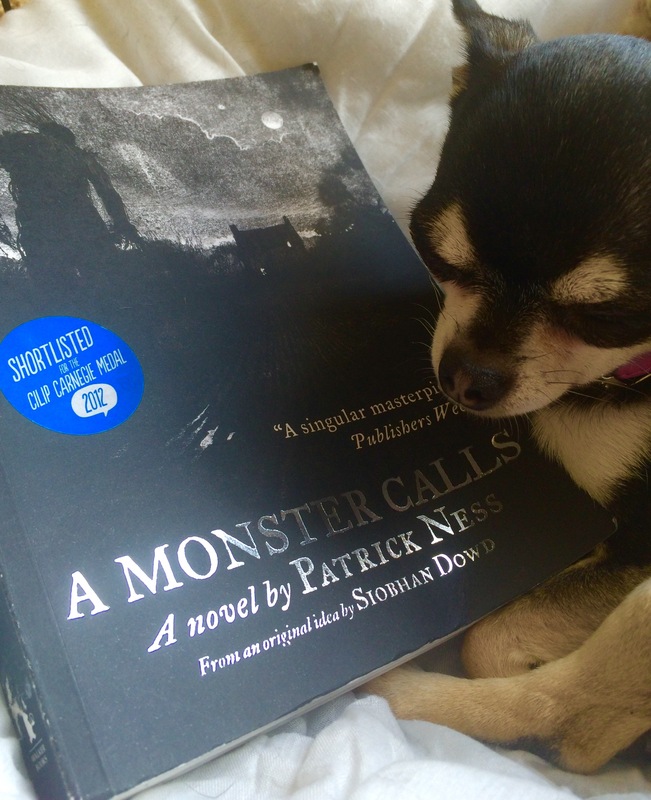 The story of the book is almost as heartbreaking as the book itself, author Siobhan Dowd had the idea for it, but handed over the writing to Patrick Ness to complete her tale, when her life was taken by breast cancer. The monster has come to Conor when he needs him the most, he is being treated differently at school because of his mum, he is actively looking to get into fights, he is shunning an old friend, who revealed his mother’s illness and he is not focused in class. Outside of school, he is not feeling loved from his father, who is no longer a constant in his life, having now moved to America, with his new family following his divorce to his mother. Conor now faces the prospect of living with his very strict grandma, who herself is not the same, as she now faces that she may outlive her daughter. The monster is formed from a yew tree and he visits Conor and tells him of 3 stories which will help him during this difficult times. The stories are excellent, as all have a twist in the tale, and certainly are not what you would assume at first, as people you will judge as good are not what it seems and vice versa. The reason for these stories comes apparent towards the end of the book at a time when Conor has to face the realities of life. I read this book in almost 1 sitting, it is a real page turner and I personally am glad that the film’s trailer had got me intrigued and introduced me to this great read. However, the film looks like it could be fantastic as well, for a start, the screenplay is from the book’s writer Patrick Ness. The director is J.A. Bayona who brought us The Orphanage and tsunami movie, The Impossible. He has also been announced as the director for the Jurassic World sequel. And the cast, Felicity Jones will play the ill mother; Toby Kebbell will play the father; as the Grandma will be Sigourney Weaver; The monster will be voiced by Liam Neeson and Lewis MacDougall, fresh from playing Nibs in Pan, will play young Connor. The film has a US release date of 21st October but sadly we in the UK will have to wait until the 6th January before A Monster Calls into our cinemas, but on plus side, you now have plenty of time to track down this fantastic book to read it and see what a fantastic film this could potentially be.